Take a break from the city and head to Thingvellir National Park and Askja. Get a sense of the local culture at Hallgrimskirkja and National Museum of Iceland. Explore the numerous day-trip ideas around Reykjavik: Glymur (in Akranes) and Spas & Wellness (in Grindavik). Next up on the itinerary: surround yourself with nature on a nature and wildlife tour, enjoy the sand and surf at Nautholsvik Geothermal Beach, take an unforgettable tour with a helicopter tour, and examine the collection at Reykjavik 871 +/- 2 The Settlement Exhibition. To find ratings, other places to visit, reviews, and more tourist information, you can read our Reykjavik itinerary builder. Montreal, Canada to Reykjavik is an approximately 15-hour flight. The time zone changes from Eastern Standard Time to Greenwich Mean Time, which is usually a 5 hour difference. When traveling from Montreal in July, plan for colder days and a bit cooler nights in Reykjavik: temperatures range from 17°C by day to 11°C at night. Cap off your sightseeing on the 12th (Wed) early enough to go by car to Vik. Step out of the city life by going to Laugavegur and Black Sand Beach. 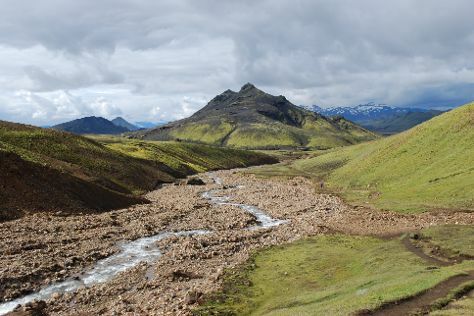 Go for a jaunt from Vik to Kirkjubaejarklaustur to see Fjadrargljufur Canyon about 1:10 hours away. Next up on the itinerary: take in the dramatic scenery at Skogafoss, take in the dramatic natural features at Myrdalsjokull Glacier, don't miss a visit to Dyrholaey, and contemplate in the serene atmosphere at Vik Church. To see photos, where to stay, more things to do, and other tourist information, refer to the Vik trip itinerary planner. Drive from Reykjavik to Vik in 2.5 hours. Alternatively, you can take a bus. Finish your sightseeing early on the 16th (Sun) so you can drive to Geysir. Visiting Gullfoss and Hekla will get you outdoors. Step out of Geysir to go to Hella and see Icelandic HorseWorld, which is approximately 1 hour away. 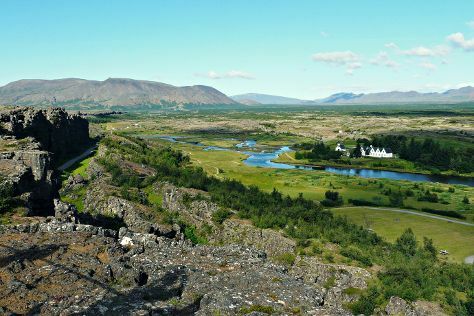 Spend the 16th (Sun) exploring the striking scenery along Golden Circle Route. For traveler tips, more things to do, ratings, and tourist information, you can read our Geysir itinerary builder. Traveling by car from Vik to Geysir takes 2.5 hours. Alternatively, you can take a bus. In July, daily temperatures in Geysir can reach 14°C, while at night they dip to 11°C. You'll set off for home on the 19th (Wed).